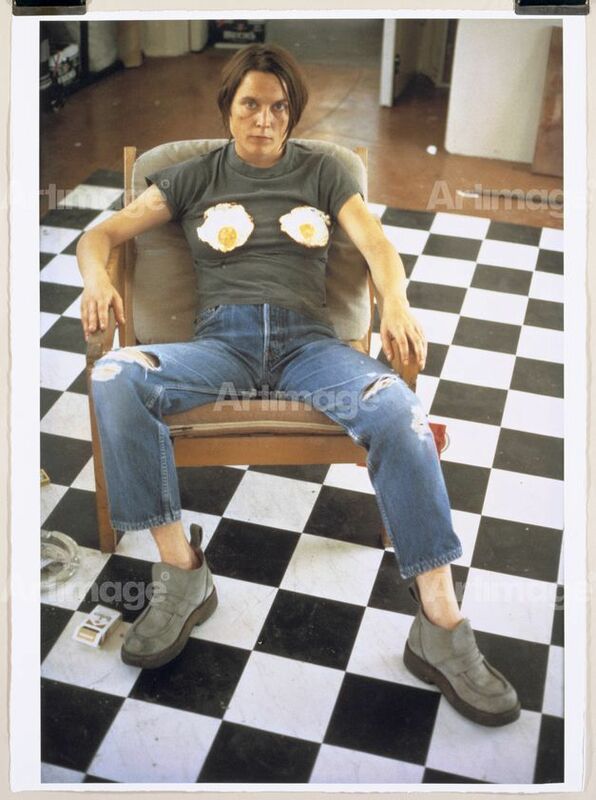 Sarah Lucas works across a wide range of media including photography, collage and sculpture. She frequently uses critical humour to interrogate established conventions and expose the absurdity of everyday life. Often categorised as a Feminist artist, her explorations of the female body have been interpreted as seeking to ascribe female artists within the mainstream narrative of art history. Her works actively complicate such categorisation, however, employing a visual language which empties femininity of meaning and allowing open interpretation. 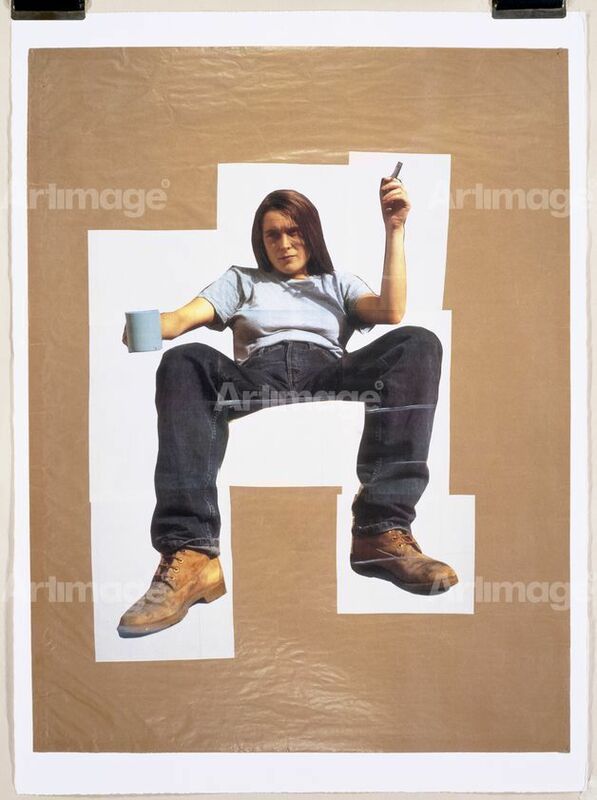 Lucas studied art at The Working Men’s College (1982–83), London College of Printmaking (1983–84) and Goldsmiths, University of London (1984-87). 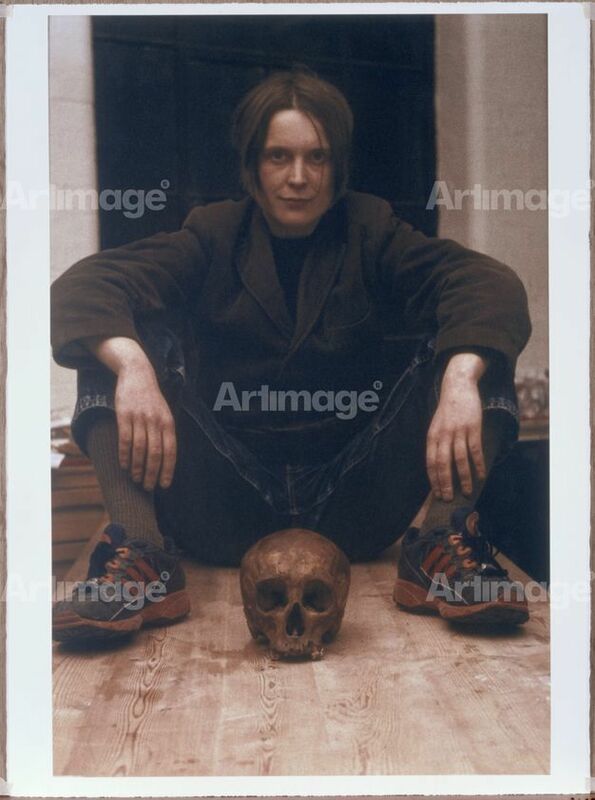 She took part in the seminal exhibitions, Freeze (1988) and Sensation (1997), and became known as a member of the ‘Young British Artists’ movement. She has exhibited nationally and internationally, with recent solo exhibitions at Humber Street Gallery, Hull (2017); Sir John Soane’s Museum, London (2016); and Whitechapel Gallery, London (2013). In 2015, she represented Britain at the 56th Venice Biennale. 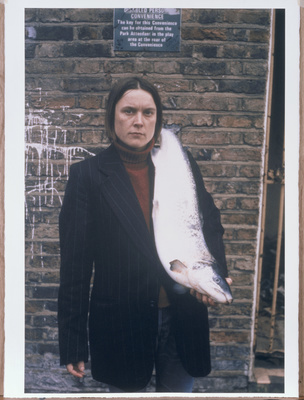 Her works are in a range of collections including those of the Arts Council, British Council and Tate. Lucas lives and works in Suffolk, England. Sarah Lucas is represented by Sadie Coles who manage all licensing requests on her behalf. Artimage has a selection of images available and any requests will be passed to the gallery for approval.